Institutions and edtech providers need a better way to partner on the integrations between the institution’s learning environment and content that is sold directly to faculty. Today these products are often delivered via a hodgepodge of technical integrations that lack needed functionality and are difficult to support. 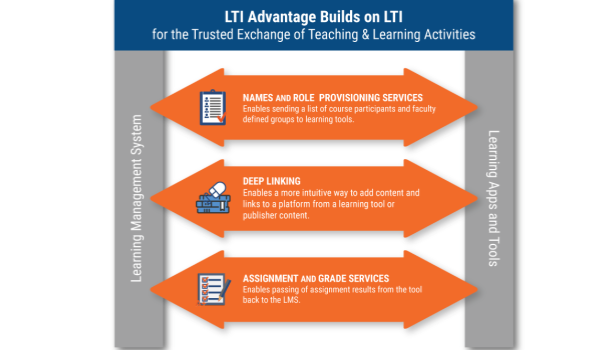 To address this challenge, educational technology leaders at institutions are underscoring the need for tool providers to commit to the adoption of the emerging LTI Advantage standard from IMS Global Learning Consortium to provide richer integrations that are also easier to support. Real-time grade and comment syncing with the master gradebook of a class in the learning environment via LTI Advantage Assignment and Grade Services. 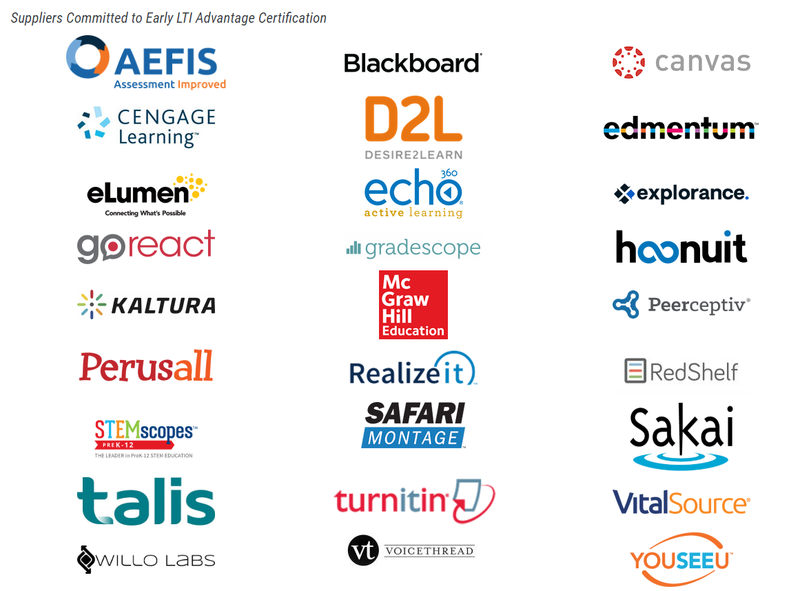 Leading institutions have come together to endorse LTI Advantage as the preferred edtech integration standard. As a result, LTI Advantage is being implemented rapidly by productorganizations and LMS providers committed to achieving IMS certification for fall 2018 adoption by institutions.